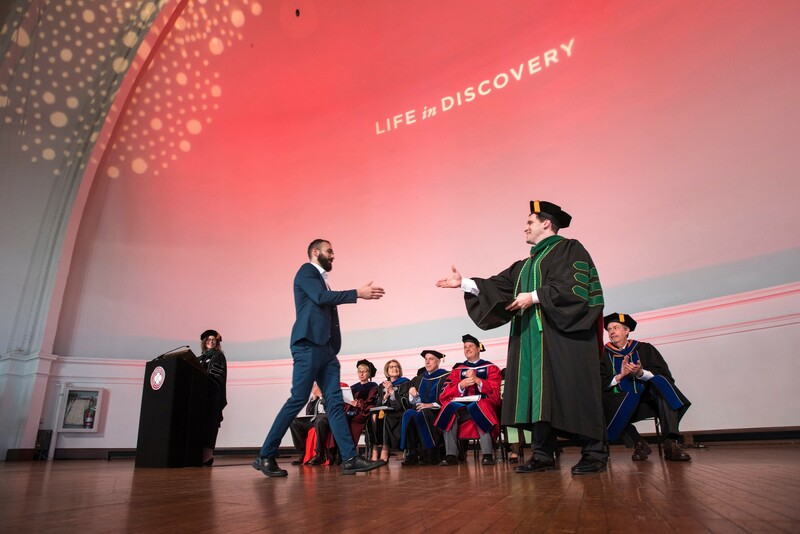 On Thursday, May 30, 2019, Rosalind Franklin University of Medicine and Science will host the annual Awards Ceremony in conjunction with Commencement. This year, the ceremony will be at the Grand Ballroom at Navy Pier and will begin at 2 p.m. Graduates who are receiving an award will receive an invitation to this ceremony no later than April 15, 2019. Each awardee will have the opportunity to request four (4) complimentary tickets for guests. Additional tickets will also be available for $20 each and can be ordered on the Ticket Request Form. 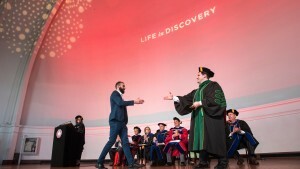 Each graduate will be asked to submit their request between April 15 and May 1, 2019, if they need to request tickets for the Awards Ceremony or Commencement Reception. All graduate and guest tickets to the Awards Ceremony are also valid for the Commencement Reception immediately following the Awards Ceremony in the Lakeview Terrace at Navy Pier from 3:30–5:30 p.m.